Property prices in the Lothians are among the fastest growing in Scotland, outperforming the national average as demand has risen from families looking for more affordable homes, new research suggests. 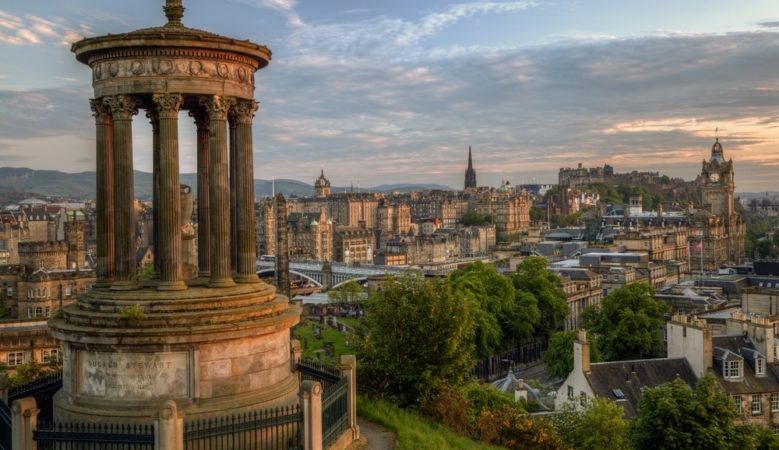 Prices in Edinburgh are becoming less affordable and as a result West Lothian, Midlothian and East Lothian are seeing demand grow from buyers looking for homes on commuter hotspots, according to property consultants Galbraith. ‘We have seen strong demand in most parts of the region throughout 2018, with sales closing relatively quickly in many cases, as long as properties are accurately priced. Some postcodes have seen considerable house price growth in recent years and this continued or accelerated in 2018,’ said Rebecca March, head of residential sales for Galbraith in the Lothians and central Scotland. West Lothian was a particularly strong performer with price growth of 12.2%, followed by East Lothian with annual growth of 11.7% and Midlothian up by 5% in 2018 compared with 2017. These are among the most buoyant markets in Scotland, outside the capital. Figures from the Edinburgh Solicitors’ Property Centre show that average house prices increased to £183,358 in West Lothian, to £242,689 in East Lothian and to £202,689 in Midlothian. ‘The very strong demand for property in Edinburgh causes a ripple effect, pushing up prices in the surrounding areas. Families are relocating from the centre of town to the more affordable areas of East and West Lothian which have good transport links to the city centre and Edinburgh Airport,’ March explained. ‘Properties in West Lothian in particular remain very affordable compared with central Edinburgh. The Lothians overall have many well-regarded schools, areas of beautiful countryside, varied leisure pursuits and offer an appealing rural lifestyle,’ she added. The firm has also noticed an increase in demand from Scots returning home after working in England or further afield for a period, which has been evident for a few years and continued in 2018. The house price differential between many parts of England and Scotland is a driver for many people to return home and be able to buy a much more spacious property, with the added benefit of a more relaxed lifestyle. ‘We expect these trends to continue in 2019, despite the continued uncertainty over Brexit. The further increase in the sales tax imposed on second homes by the Scottish Government, which comes into effect from the end of January, may have a slight dampening effect on the market, although second home owners do not make up the majority of buyers. Scots have been subjected to two referendums and a general election in the past four years, so perhaps uncertainty is the new normal,’ said March. The firm has also seen a rise in property sales in Fife which is says is due to the region’s position between Edinburgh and St Andrews, two of Scotland’s hottest property markets and also near Dundee where a regeneration programme is set to push up property prices. Galbraith reports that property sales from its Cupar office in 2018 were up 12% year on year and the number of market appraisals undertaken by the firm also increased by 13%. According to George Lorimer, a partner with Galbraith, the opening of the V & A in Dundee has created a huge buzz and the new Queensferry Crossing has reduced commuting times to Edinburgh. He also pointed out that there a lot of quaint and popular traditional fishing villages and towns in Fife where property is very attractively priced when compared to the Edinburgh market, including Elie, Crail, Anstruther and Pittenweem, which all offer historic properties with attractive architecture.